We had a little tiff about ASMR videos in the office the other day, and I, unfortunately, was on the side of those who just do not get it. Sure it sounds nice to hear fingernails tap on a piece of cardboard, but was it really giving people electric chills? I was jealous. I felt robbed of chills. 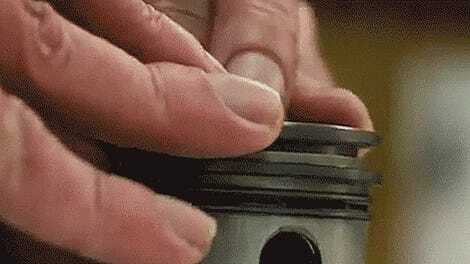 And then I watched this video on James May’s YouTube channel, JM’s unemployment tube. 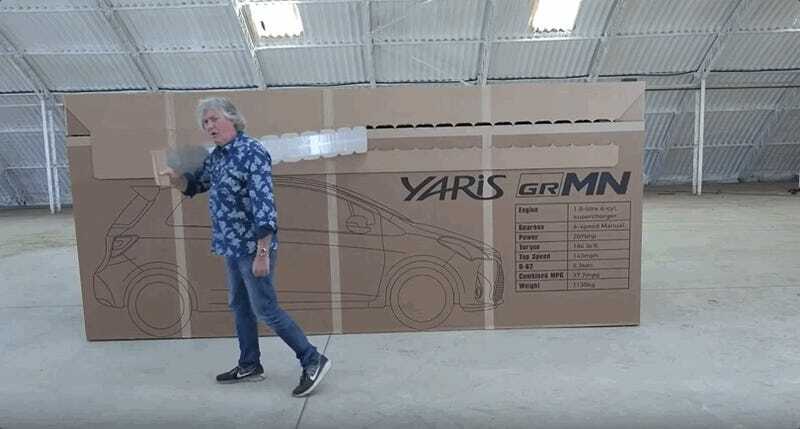 Apparently, all it took was the hilarious Britishisms of James May (who exclaimed “Nurse!” after ripping the cardboard tab) and to hear the sounds echoing around a large empty space. I’m plugged into it now. The chills are mine to get. Along with soul-satisfying sounds of polystyrene rubbing against cardboard we have a Toyota Yaris GRMN (GAZOO Racing tuned by Meister of Nürbrugring—also known as the best name ever) to add to our sensory overload. It’s a saucy 209 horsepower hot hatch, unfortunately slated only for not-America at the moment. It comes with a supercharger, and I can only assume it sounds even better than the process of unboxing it. Only 400 are planned for European customers, with 80 of those heading to the UK. Now we know where at least one ended up.